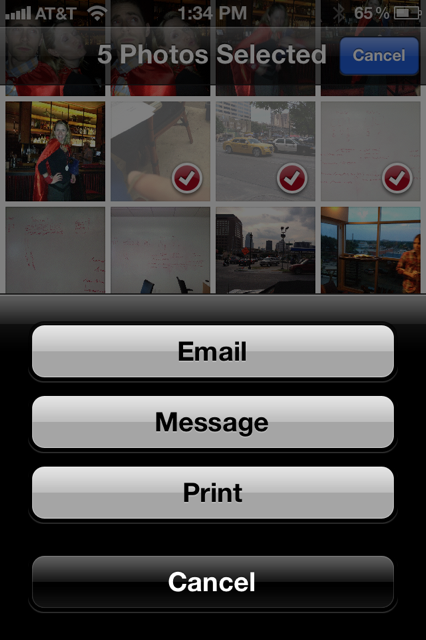 If you want to send multiple photos at once from your iPhone it is actually possible! 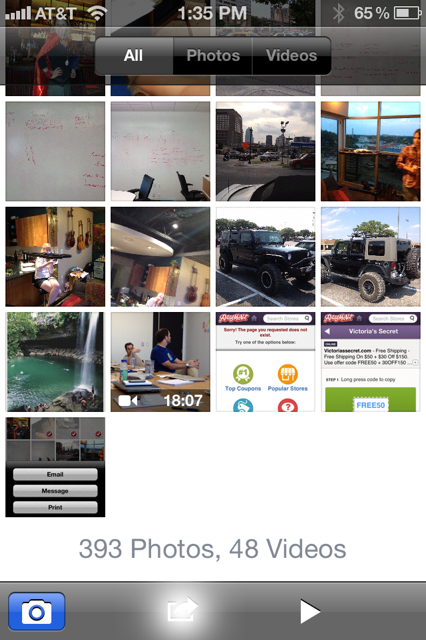 For a long time I’ve been using the send menu while viewing a picture but if you just back out to the Camera Roll view where you can see all of the icons of all of the pictures you’ve taken there is another send menu. This entry was posted on Thursday, May 17th, 2012 at 6:38 pm.